Every year I talk about how I decided to do a comic blog back in 2007 but I didn't have a focus and so it was one post and done. And then on 4/29/08 I decided to try again, this time concentrating on Supergirl comics. I decided Supergirl because I love the character and I didn't think she was being respected in the comics. At all. 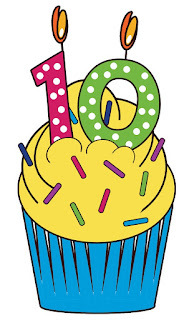 It has been a decade. The character is in a much better place. Over 3.7 million page views. Countless friends made. And plenty of friends for life. The focus has somewhat stretched to include Superman, Legion of Super-Heroes, other media representations of Supergirl, and basically DC Comics in general. But, despite these blurred borders, I think I have succeeded in keeping Supergirl at the center of the proceedings. I don't think I need to go into detail but suffice it to say that things have changed a lot for Supergirl over these 10 years, and mostly for the better. There have been some stops and starts. But there is no doubt Supergirl is a known commodity now, much more widely known than she was back in 2008. From comics to canned pasta to toys to television shows, she really seems everywhere. You only need to take a look at my overfilled collection of merchandise to see how big a deal she has been over the last 10 years (I'll have a post soon). So on the site, the character coverage is the content but the audience is the atmosphere. The traffic has been steady and climbing for the most part. And I also think that's amazing. 840K visits last year! Every anniversary, I thank you all for coming here, listening to my rants, and reading my overly long and probably overly scrutinized comic reviews. Without you all and the Supergirl fandom, I would have given up on this long ago. I love the conversation. I learn so much from you all. And it is great to hear from other Supergirl fans! This is a community. And I love that it isn't an echo chamber. There is discussion and opinion but also respect. So thanks again! Congratulations should be given to you as much as to me! I am planning a couple of fun anniversary posts because, gosh dang it, I think the place deserves it. So look for some fun 10 year retrospectives coming up. I won't go into much discussion here as it is a Sunday. But I felt I needed to post something on the day itself! So come back tomorrow as I begin some official celebrations! 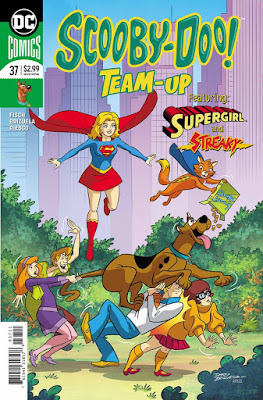 Scooby Doo Team-Up #37 came out this week, guest starring Supergirl and Streaky. It is a near perfect book to give a Supergirl fan, both new and old. It is practically a primer for her Silver Age adventures with just a splash of Bronze Age thrown in for good measure. As such, for an old timer like me, I was absolutely tickled pink. Not that I should be surprised by this. Sholly Fisch is writer here and Mr. Fisch has always been able to put together a good yarn. Whether it is all ages like this or the backup stories in the Grant Morrison Action Comics, he seems to grasp the core of characters and put things together in a nice package. In particular, he must be a Supergirl fan given all he was able to stuff into this issue. Even with the presence of the Scooby Gang and their mandatory shenanigans, we still get major parts of Supergirl's classic history here. I mean it ... I was floored. Dario Brizuela is on art and brings a nice consistent feel to the proceedings. His Supergirl is young and powerful. I would love a cartoon appearance with this look. 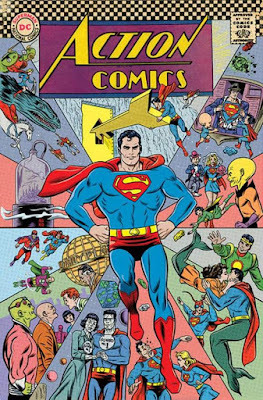 But honestly, if you have a Supergirl fan of any age and you want to show them what the Silver Age for Supergirl was like, buy them this book. We all knew this was coming. But it strikes me as a bit crazy that there are only two Superman family books on the shelves in July. No Supergirl. No Super Sons. No Superwoman. And now, no New Super-Man. We knew it was coming. It just seems stark now that it is actually happening. 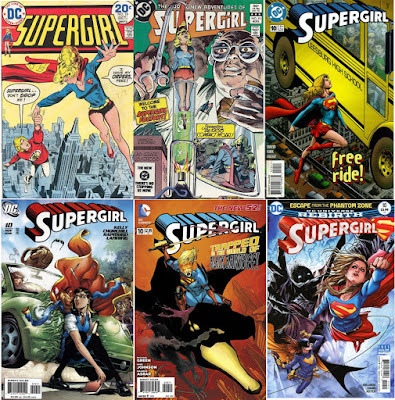 Of course, it took DC a long time to get a Supergirl Rebirth book on the shelves despite the show's success. So I guess I shouldn't be surprised to not get a reboot so soon. Metropolis enters a new age? The Daily Planet in danger? We have been wondering about all this stuff about a change in the dynamic of the family. No mention of Lois at all here. A David Mack variant sounds interesting. I loved his variants on the Robinson Justice League of America. "In Search of Lost Time", the fifteenth episode of this third season of Supergirl, aired earlier this week and was one of the more emotionally heavy episodes for this title. At time it was heartbreaking. Of course, I have been watching this whole season trying to figure out how each episode ties into the major theme of Supergirl rediscovering her humanity while Sam loses hers to Reign. I have said from the beginning that it will somehow tie into Sam's love for Ruby that will ultimately lead to Reign's defeat. The title here tells us what we are dealing with. The main plot is on M'yrnn J'onzz suffering from dementia. He is slowly losing himself, losing the experience of his life. Meanwhile, J'onn knows that he and his father need to accept this even though they have just been reunited. They are searching for time, but they have lost the future. But that isn't the only play on the title. Sam, under Lena's care, learns she is Reign. She learns what she has been doing during her blackouts, her lost time. But more importantly, she knows, for safety reasons, she cannot be with Ruby until she is rid of the Reign persona. She is losing time with her family. 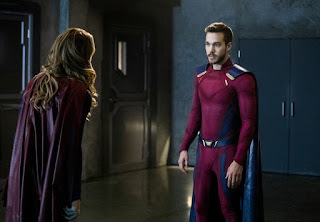 And lastly, there is a scene which Mon-El haters will love where Kara finally confronts him about how awful he actually was last season. She realizes that she has romanticized their relationship in her mind, forgetting the bad when thinking about him through the haze of grief. Maybe she wants to go back to that lost time but she can't. She sheds herself of romantic feelings for him. 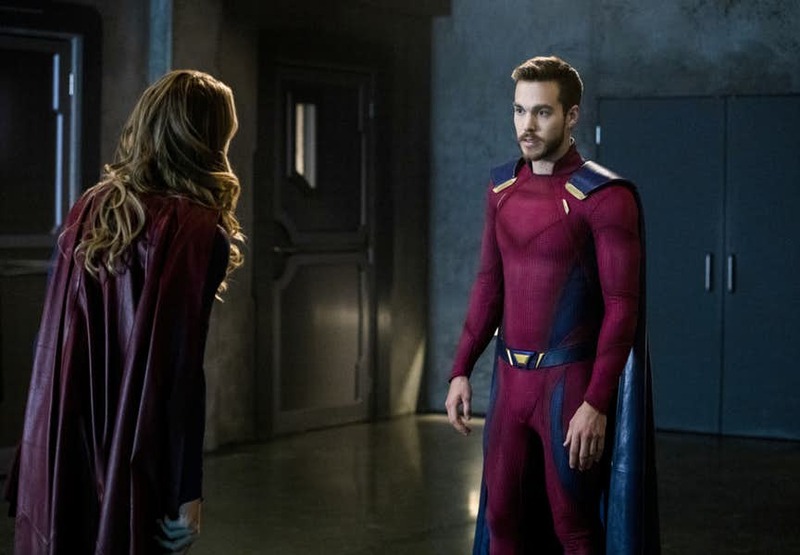 And he acknowledges that the Mon-El from seven years ago (his time) was as awful as she says and apologizes for his actions. All these show people either sacrificing part of themselves for the good of others or recognizing when they have hurt someone else and asking for forgiveness. It all fits the theme. And it is this slowly building premise that has made this the strongest season for me so far. Transforming into the ‘other’, medically induced coma.Ending sedation to get conscious. Sam/Ruby picture. Super Sons #15 was released last week, the beginning of the last arc for this book before it gets cancelled. This fun and well received title is another casualty in the current shakeup with the Superman books. So it only seems fitting that we come full circle in this book with the boys fighting their first foe, Kid Amazo. At lot has happened since the boys stumbled into a team-up. They have become a true super hero duo. They go to school together. They have a Fortress to hang out. And they have become friends. That last part is the best part of this book. We have seen how, despite their inherent differences, the boys have become comrades in arms. Damian has become a tad more noble, a tad more open, and has started to care about Jon as more than a tool. Jon has become more talkative, more assertive, and more proactive. In other words, they have positively impacted the life of the other. And they are there for each other when there is trouble, personal or otherwise. It is a shame this is going away. Peter Tomasi has basically written a World's Finest book and it has been great. And this issue is no difference. With the very complementary art by Carlo Barberi and Art Thibert, we get another issue of action and character interaction. It's a shame it is going away. I am still holding out hope we get a Super Squad book in the aftermath. On to the book. Last week was a huge day in Superman history as Action Comics #1000 came out, complete with 10 different variant covers and 10 different stories. 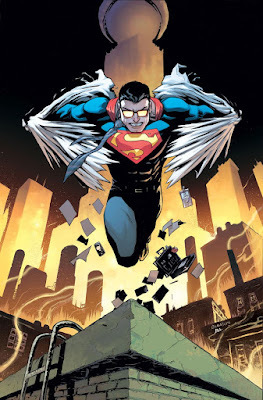 One of those was ''The Truth', the first installment by Brian Michael Bendis in his time running the Superman mythos. I have to say that I loved the issue. Not every story resonated with me. But they all encapsulated who Superman is. I won't review all of them but each vignette leaned into the idea of Superman being a source of truth and justice, a good man trying to help, an inspiration to people everywhere, and beloved. This was my Superman. Now this won't work for everyone, I'm sure. Some might think it was hokey. Others boring. Others yet unoriginal. 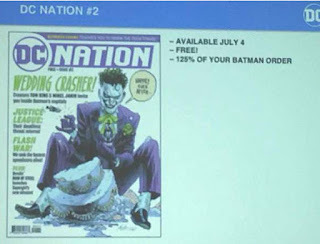 But anniversary issues like this ... and this is the biggest anniversary issue of them all so far ... are supposed to be about looking back at the big concepts. And for me, I wanted it to honor all the mythology that came before it. To put it in other terms, I'm a baseball fan and my favorite baseball movie is The Natural, an almost supernatural story about redemption. That's level is what this issue was. Not Bull Durham or Major League. I also admit that I splurged and got a bunch of covers. I ordered the limited Artgerm and Tyler Kirkham variants. And at the store I bought the Dan Jurgens, Steve Rude, and Mike Allred covers. My favorite is probably the Allred one because he snuck so much Silver Age sweetness onto the cover, including some excellent Supergirl moments. The plan here will be to look closely at the Bendis story and then touch upon some of the others, so be warned. Spoilers ahead. I know that Action Comics #1000 came out this week and that is an historic issue that should be first in the review chute. But before I cover that book and the future of Superman under the reins of Brian Michael Bendis, I feel I had to close the door on the Rebirth/Reborn era of the Superman family. 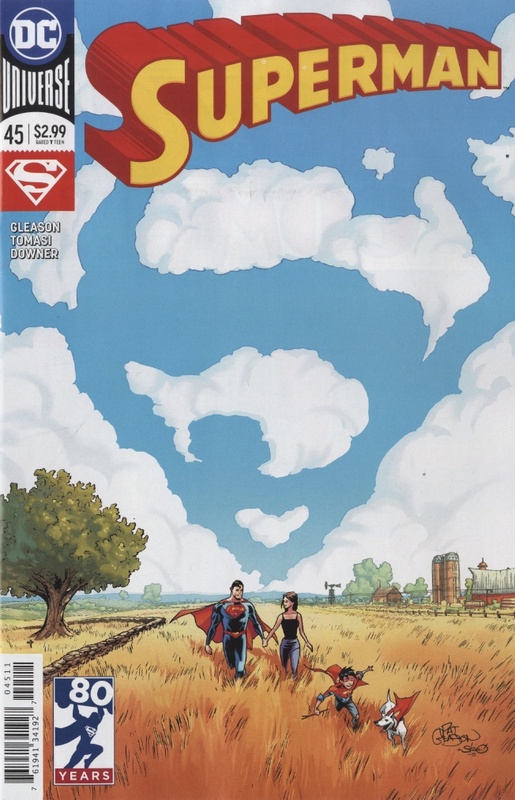 And that means covering Superman #45 by Peter Tomasi and Patrick Gleason. And this is an ending. It reads like an ending. And it reads like a metatextual ending as much as a storyline ending. I said in a recent review, when discussing the ending of this run, that nothing gold can stay. There is some cosmic karma in that Robert Frost run because the team says it here as well. Yes, good things can come of change. Yes, people need to expand their horizons. But it is a shame when something that is still gold is going away. The Kent family's life is changing. No more Hamilton farm. No more wheat fields. No more country days hanging out with Kathy. It is time to move on. And this book is changing. 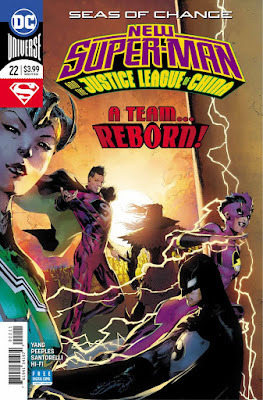 No more Tomasi and Gleason leading this family forward. No more stories of father and son, no more mother and son, no more father and mother. This book sold well and was loved. And yet the creative team is being forced out to move on, cleaning up plot threads so 'new owners' can come in to the space. It has to be both a story and a comment on things. Thanks again Tomasi and Gleason. I loved this run and I hate to see you go. This seems like just the sort of low key con I could use right now. It a vendor heavy convention where I will be going to (gasp) thumb through comics and buy them! We finally leaving the doldrums of winter here. We are approaching my 'big con' season. This will be a great place to ease in. And I am ready! I have heard only very good things about this con. Seems like a 'true' comic convention. But it isn't all just shopping because a creator whose work I truly enjoy, J.M. 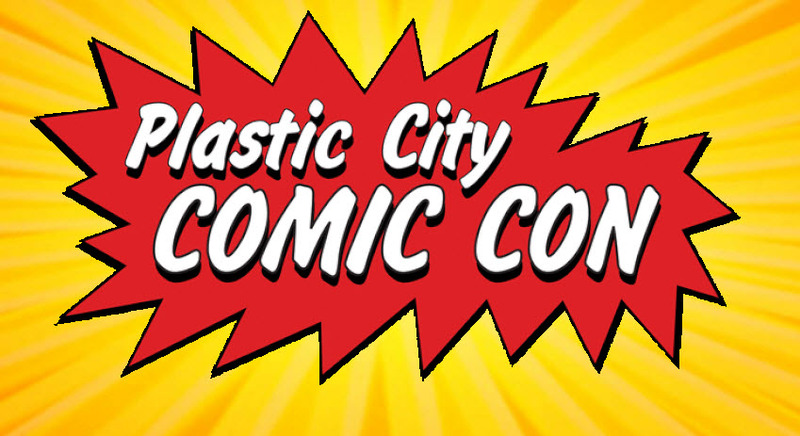 DeMatteis, is going to be there as a guest of honor. And I can't wait to meet him. DeMatteis has a long career with some major works in his oeuvre. Moonshadow, Spider-Man and Kraven's Hunt, JLA (Bwa-ha-ha) are just a couple of his biggest successes. But I'm me, so I am bringing an eclectic group of books for signatures. And I am hoping he won't be too busy to answer some questions about these works. I will be bringing him Wings , a little known Elseworlds which came out during the PAD Linda Danvers book. I wonder if DeMatteis was a fan of that book. Did he pitch this or was it pitched to him? My gut tells me no one cares about this other than me. I wonder how often he gets asked about it. In some ways it isn’t the best episode to return with. The main plot is on the back burner for another week. We get no Sam or Ruby. That’s one more week for memories to fade about the particulars of that plot. In other ways, it seemed right. We get good character moments from all the main players. Certainly Winn takes center stage. But there are scenes with J’onn and Alex and James that remind us what we love about them while enriching their stories. And Kara gets great moments both as Suoergirl and Kara Danvers. So no better episode to reintroduce to the cast and remind us what we live about th m.
But also this episode continues the thread of loving and humanity as being a strength for people, not a weakness. I have said all along that Sam’s humanity and hr love for Ruby will win over Reign’s wickedness. That more than punches and heat vision will end the threat. And this episode shows how all the characters are dealing with family obligations and loving responsibility. The bottom line is this was a fun chapter in this season, very much a live action comic book with strong emotional beats. And apologies for clunky writing, rough screen shots and any typos. This review was done on the fly while on a mini-vacation and away from usual tech. Onto the episode! 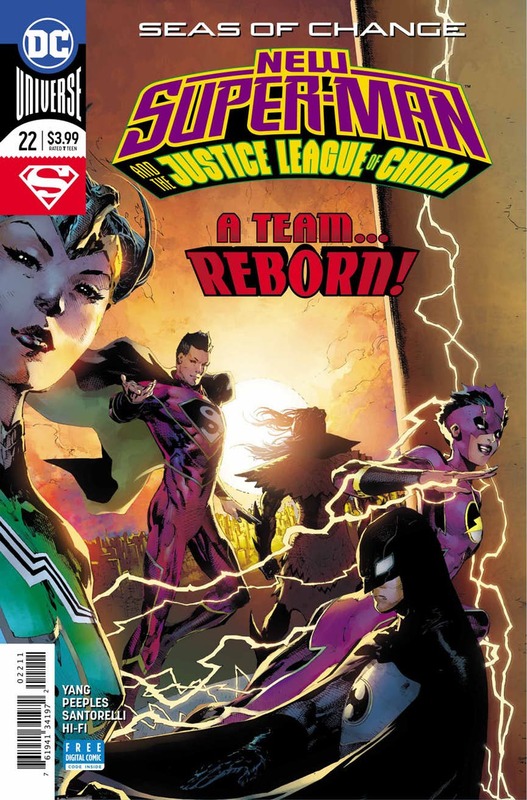 New Super-Man and the Justice League of China #22 came out last week, ratcheting up the intrigue of the North Korean Aquaman and Kenan's continued struggles with his powers' origins. I have been a fan of Gene Luen Yang's book since its inception. And current artist Brent Peeples has become more comfortable with the characters as his issues accumulate. But the thing that gets me is that this book has matured quickly. We have gone from a sort of idiot having the mantle of Super-Man thrust on him to a fully functioning super-team with inter-squad relationships and a growing rogue's gallery. Perhaps most surprising, it has never felt too fast or forced. This book has organically grown. And it has been entertaining the whole way through. While the Aquaman side plot is a good one and brings the plot thrust here, it is Kenan's struggles that really grab me. His quest for balance while being a young kid with super-powers reads true. What happens in this issue makes sense. I sort of see the writing on the wall. I fear this book is most likely ending soon and that is a shame. 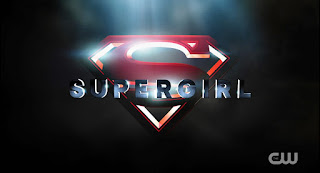 For this blog, the big news has been the shelving of the Supergirl title. 'Bendis is Coming!' The landscape of the super-titles will be changed. Supergirl will have a 'new mission'. And it all seems strange when you look at the numbers. I will also say I realize that sometimes I, as a reader, am impossible to please. I want Supergirl to be her own hero, having her own adventures. I want Supergirl to be part of Superman's life but not too much. If she isn't in his books or mentioned in his books I am unhappy. But I don't think his books or life should dictate her series. And it is probably tough to satisfy all those things. If she wasn't impacted by whatever is happening in Superman's books, I wouldn't be happy. And yet, here she is impacted and I'm not happy. Surely there can be some happy medium. If Batgirl and Red Hood and Batwoman and Nightwing can all somehow have their own titles *and* be part of the Batman books, it can be done! So on to the sales! 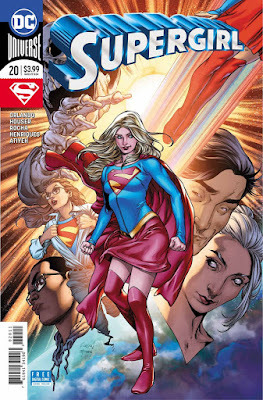 Supergirl #20 came out this week, the last issue of this volume of the title, the last issue of the Rebirth era, the last issue for writer Steve Orlando who has been here since the beginning. It is painful to write that. I have written too many times on this site that DC seems to pull the plug on Supergirl titles just when they are cresting creatively. And that is so true here. Since the end of the Phantom Zone storyline, Orlando and current co-writer Jody Houser have really tightened up this book, bringing us a fantastic Kara who is trying to improve the world around her, helping people while she learns about Earth. And artists Robson Rocha and Dan Henriques have brought such compelling and gorgeous art. Everything was working, the book was selling well with Artgerm variants; DC cancels. But I am not here to curse the darkness. I am here to light a candle. This is a wonderful ending issue, doing what last issues should do. It wraps up the ongoing DEO storyline very quickly; it has to. It puts the character in a very good place for whatever comes after. And it shows utter respect to the character. But there are plenty of things not finished. Things I would have loved to read. There had to be more planned for Ben Rubel. There had to be more for Belinda Zee. There had to be more for the Danvers. We hadn't seen Cat Grant in months. Those are all threads that probably won't be seen again. Much like the unwritten threads for Sterling Gates and K. Perkins/Mike Johnson, or the ninth grade with Landry Walker and Eric Jones, I will always wonder what could have been. I can honestly say that this has been a wonderful run for Supergirl. I wish there was more time. On to this book. One of the things that strikes me is that I am honestly in a golden age of my fandom. If you asked me what are the two properties that have spanned my lifelong love of comics it would be Supergirl and the Legion of Super-Heroes. Heck, I run a fan site for one and contribute to a fan site for the other! And now I live in a time where Supergirl and the Legion are right there on screen. While I didn't mind the black Legion stealth costumes that the members have sported on this show, this comic accurate costume is fantastic. Just embrace it. And I like the subtle S-Shield pentagon sewn into the shirt. Awesome. With regular super-books either cancelled or on hiatus as we await the coming of Bendis, I have been dipping into the back issues for comics to cover. As usual, I try to tap into some zeitgeist when I review older stories. 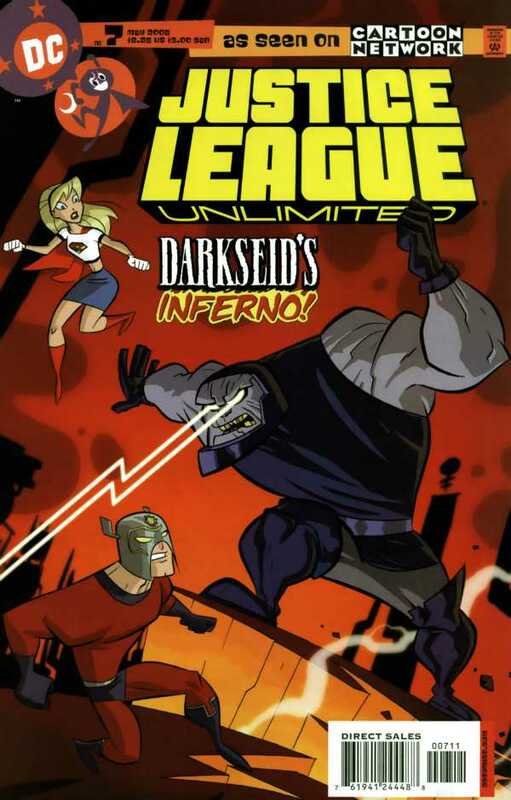 And there has been a confluence of events that made me revisit Justice League Unlimited #7. For one, it was Jack Kirby's 100th year birthday this year, resulting in a ton of Kirby stuff hitting the market. Whether it was the Allred's Bug mini, the Kamandi Challenge, or the ongoing and critically acclaimed Mr. Miracle by Tom King and Mitch Gerads, there is more Kirby specific books on the rack now than ever. Then the news that a New Gods movie was going to go into production with Ava DuVernay behind the director's chair broke. With all that happening, it seemed like this issue with Supergirl embroiled in Fourth World war while learning a lesson about family seemed due for a thorough review. There is a lot of action and a lot of emotional heft to this story told in an all ages book. So sit back and enjoy. We all have been waiting for news about Supergirl after the explosion of Brian Michael Bendis' arrival. Of course, no news has led to the usual concerns of lack of a new book, being pushed aside, or headlining a team book. Well, the slightest hint came out the other day, from C2E2. 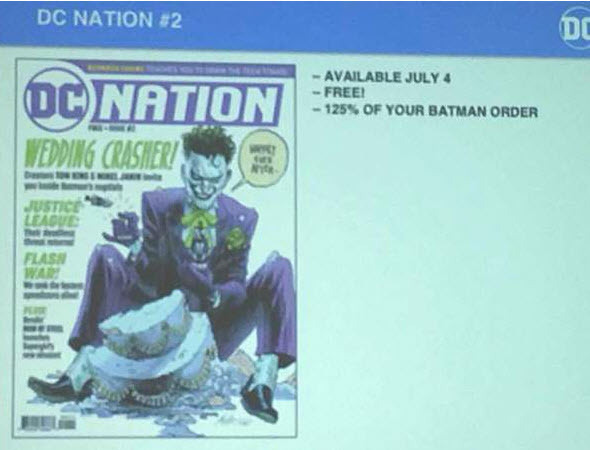 At a panel, DC revealed the covers for the upcoming DC Nation magazine. And if you squint close enough at the cover, you'll see a tease. Here is a link to Bleeding Cool's brief coverage on the magazine. 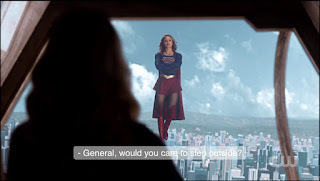 So what about Supergirl? Well, it looks like we'll need to wait until July 4th to get some news. Of course, by then, Man of Steel will have ended. It is hard to believe ... and it seems inexcusable ... but the last new episode of Supergirl dropped on February 5th. That's two months ago! This season of Supergirl has been very strong, mixing action with DC Easter Eggs and overarching themes of humanity and caring and being 'alien'. I have been impressed with the writing and have been eagerly awaiting each new episode. So it seemed a little bit strange for the CW to shove this 8 week hiatus on us. There was never a clear explanation. Was it because Black Lightning was on the air and CW had some rule about only having 5 super-hero shows on the air at one time? If yes, why shelve Supergirl? Why not DCLOT? Was it because the casting out of Andrew Kreisberg set the show back a bit? Was it simply that the episodes weren't done? What it did do is slow down the momentum the show had going on. Everything was clicking. Two months later will people still care? So I was very very happy to see this new 'poster' make it on to social media this last weekend. Caring the appropriate line 'Miss me? 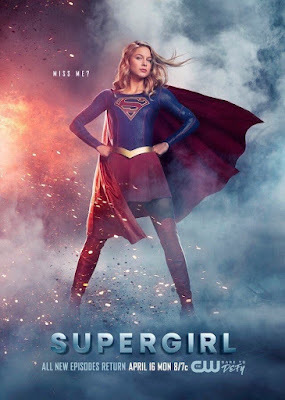 ', it has Melissa Benoist striking a very iconic pose, standing amid ash and smoke. Yes Melissa ... yes CW ... yes Kara ... we have!!! If they made this into an actual poster and someone has access to an extra, please send it my way!! 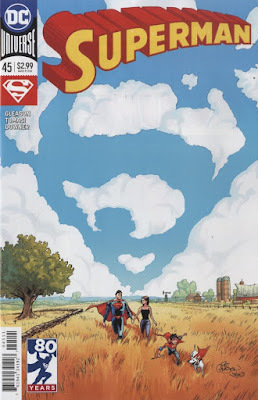 Superman #44 came out this week, the second to last issue for the Rebirth team of Peter Tomasi and Patrick Gleason and the final part of the Bizarroverse storyline. And, befitting of a story set on Bizarro world, it is an odd mix of crazy backwards fun as well as some gut-wrenching emotional scenes. That is a hard and fine line to walk and be successful but somehow Tomasi and Gleason pull it off. I have said it before but I will say it again. I will miss these two on a Superman book. They have really done something special here. In the book, from the insane side, we see backwards sound effects, reverse versions of super heroes and villains, and the usual backwards speak which needs to be deciphered to get the point. From the emotional side, we see that this Bizarro isn't an imperfect duplicate. He is the exact opposite. He doesn't save his adopted planet. He doesn't love his family. He doesn't like helping people. He isn't the goofy nuisance I grew up with. He isn't exactly a menace. But he is so self-absorbed, he is utterly unlikable. That isn't Superman. And this loathsome nature plays out on the page in a heartbreaking way. 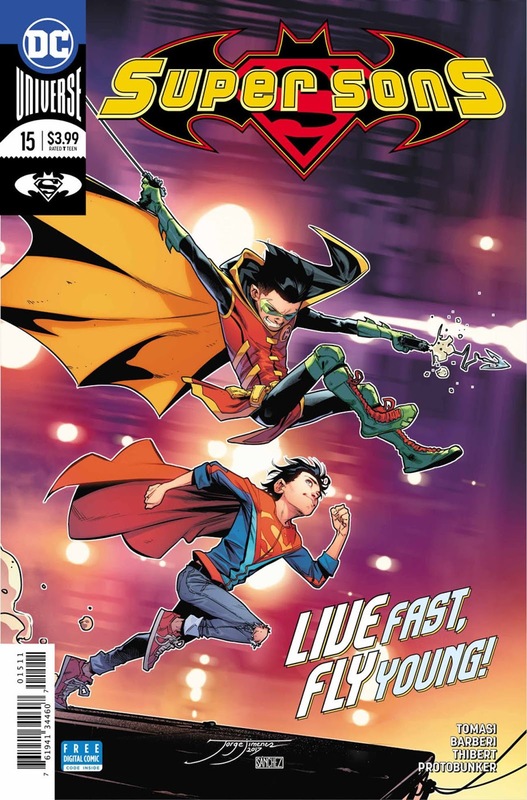 I also think this book continues to stoke my idea that this is a backdoor pilot for a Young Justice or even a Superboy and the Legion of Super-Heroes book. The art is by Doug Mahnke who has frequently assisted Tomasi and Gleason. Mahnke's stuff is always crisp and beautiful. Here, some pages are inked by Jaime Mendoza who brings a sparser feel to the proceedings. 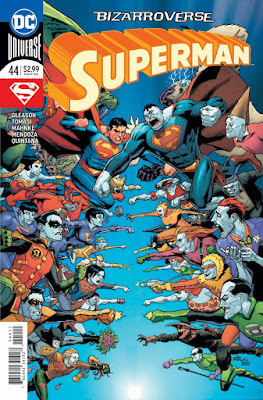 And we start out with this fabulous cover of the Super-Foes facing off against the Legion of Fun. This team face-off book is a classic comic trope, seen on countless issues. 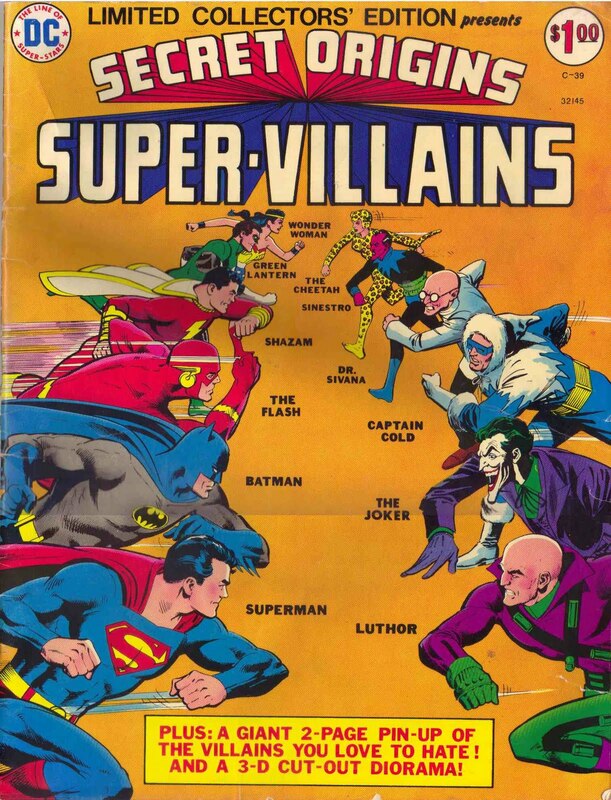 But for me it always harkens back to the Secret Origins of Super-Villains treasury. It feels a little like Legion week here at Comic Box Commentary. 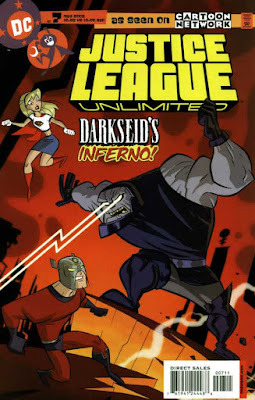 And I am doing a bit of self-plagiarism today, reposting a review I did over on the Legion of Super-Bloggers to cover Laurel Gand and her origins. I have been thinking about Laurel a lot these days. With Superman being rethought (not rebooted apparently) by Brian Michael Bendis, the future of Supergirl is a bit amorphous right now. It sort of reminds me of the Byrne era where Supergirl was removed from continuity. I doubt DC will be doing that now ... but who knows where this will all shake out for Kara. With Supergirl removed by the Crisis, the Legion had something of a hole in their history. 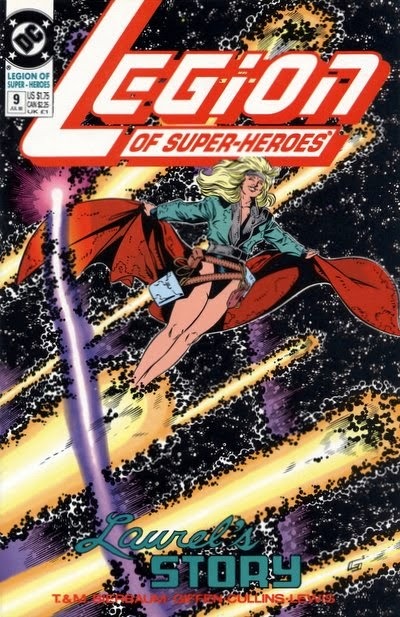 Creator Keith Giffen with Tom and Mary Bierbaum recreated Supergirl to fill that void in the character of Laurel. There are many overlapping origin points. Their powers are similar. Their relationships are similar. And Laurel is pretty cool. Over on the Fire and Water Who's Who Podcast, the team of Rob and Shag talked about Laurel this week when reviewing her Who's Who page. It made me think of Laurel and her story once more. 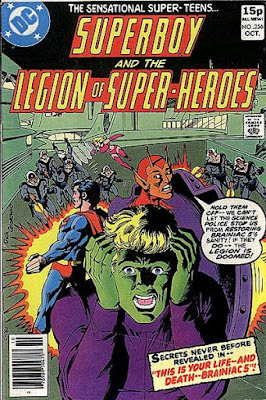 Realizing I had not reviewed it here, recognizing that it has enough Supergirl stuff in it to make it a worthy post, and also sensing the time was right to look once more at a reimagining of the character, I have decided to post the review of Legion of Super-Heroes #9 here. Hope that's okay. And it is reposted in total so bear with me. New content will be in blue. The old review will be in black. Read below for the story. There isn't much more to say. Here is a list of the shows renewed. I was glad to see Black Lightning listed as coming back. And my daughter and I list DCLOT as a guilty pleasure so I am very happy to see that survive the axe. The CW has renewed 10 of its current series, the network announced Monday. 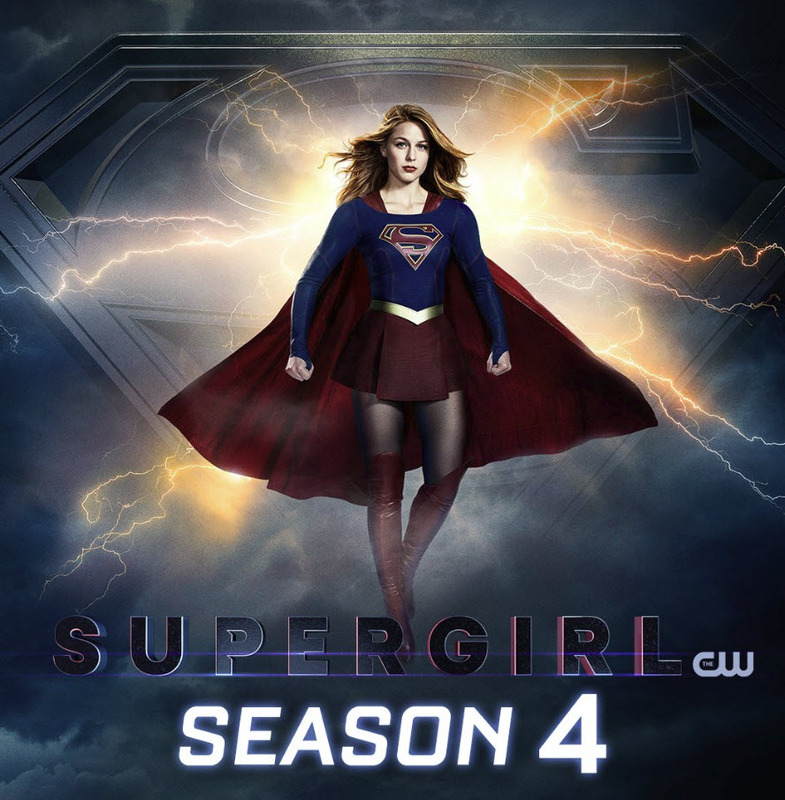 The renewed series are: “Arrow” (Season 7), “Crazy Ex-Girlfriend” (Season 4), “Legends of Tomorrow” (Season 4), “The Flash” (Season 5), “Jane the Virgin” (Season 5), “Riverdale” (Season 3), “Supergirl” (Season 4), and “Supernatural” (Season 14). In addition, freshman shows “Black Lightning” and “Dynasty” have been picked up for second seasons. This season for Supergirl has been exceptionally strong. Between the Earth X crossover, the delightful Midvale flashback episode, the inclusion of the Legion, and the threat of Reign, this season has had compelling stories and character arcs. I have really been following closely the 'being human and having feelings equals weakness' theme which has been running through the episodes. As I have said before, Sam's feelings for Ruby will be Reign's undoing proving that being human is a strength. Yes, the Mon-El romance (especially coupled with the arranged wedding with Imra) has been a bot forced. But otherwise this show has been very strong. So I am thrilled the show team is getting rewarded with another season. Hooray for us as Supergirl fans! Four season of live action! Incredible! We are still a couple of weeks away from new Supergirl show episodes. And we are still completely in the dark about Supergirl in the comics. Will there be a new series coming out of the Man of Steel event? Is DC just pulling the plug? And with no Superman book on the shelf last week, I thought I would thumb through the back issues for a review. And with Brainiac 5 playing a role in the show, I thought I would take a day to look at a Brainy-centric story. So today I will look at Superboy and the Legion of Super-Heroes #256. One of the more interesting aspects of Brainy's character is his somewhat unstable mental condition. Whether it is obsession or social awkwardness or outright occasional malevolence, he has always walked a fine line. He has created Computo, an evil computer intelligence, and has tried over and over to look back at that programming and hope to rehabilitate it. He created Omega, a being fueled by the hate of the universe, with which he hoped to eradicate all life. And he has mourned and nearly dipped into madness with grief after Kara died. Please note that linked review was one of the first issues I ever reviewed here. Even on the show, we have seen Brainy be a little distracted and a little awkward and even a little brusque with people. At times this comes off as narcissism or overconfidence. But you also get the sense he is simply shy and sort of bad with human interaction. With all that in the mix, I thought this was a good issue to review. But that is what I have been feeling. I had been putting together posts to celebrate my 10th anniversary of blogging at the end of this month and kept seeing repeating themes. DC puts out an angry, angsty Supergirl. Later, they realize this is wrong and put on a new creative team with a new direction. Book flourishes and fans are happy. It has happened again. The current Supergirl book is great and it is selling well. It is creator hubris which is forcing DC to cancel it this time. I can't live through it again. And I realized that maybe 10 years is enough time to cover one character. Maybe it is time for a fresh start. Maybe it was time to start writing about some other character? Maybe it was time to say goodbye to Supergirl. And that is when I had a gem of an idea. Amethyst Comic Box Commentary. 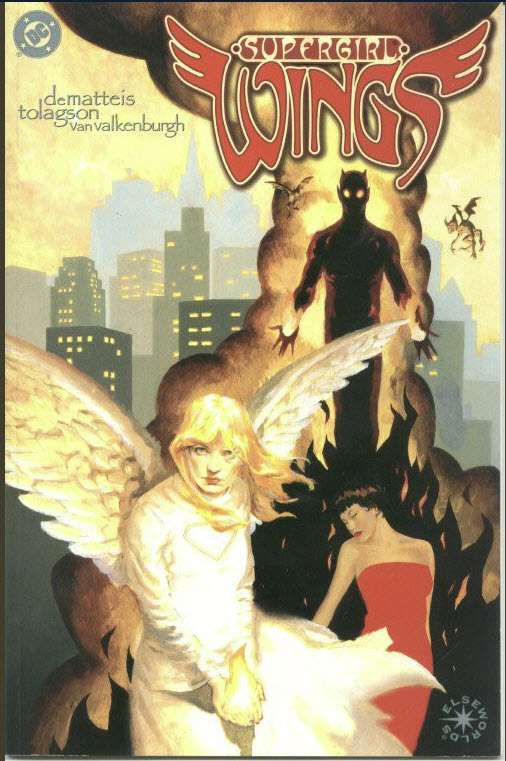 Why not cover another young female hero struggling to find life while living in two worlds! I've always loved the character. Now it is time to shine a light on her! So I'm glad you found the site! And what better opening post than to review her first appearance ever in the Amethyst Princess of the Gemworld Prevue story which was embedded in Legion of Super-Heroes #298.